I have just got back from vacation and I cannot have been happier with the destination I ended up in! I had initially planned to go to Thailand. However, due to the flooding over there, had to change the plan. Kind of very far off route, Seychelles was where I ended up! I was so excited about going to Thailand – yes it is a gorgeous place – but my main interest was Thai cuisine, Thai produce and the local Thai food scene. You see, when travelling, I am one to whom cuisine and food are as important as museums, scenery and current culture. I find that you never fully experience a new country, city or place without exploring its cuisine and local food scene. The intercontinental experience – to me – is like taking home to a new place. In other words: doing what you normally do, just in a different location. What is the point of travelling? A change of scenery? It can be, but it is way more interesting to get to live a completely different lifestyle for a short period of time, and preferably that country’s lifestyle. That is when you have truly visited the place. 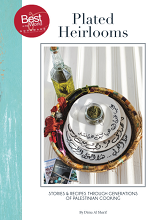 There is no better way to get a full understanding of people and the local life of a place than with venturing into what they eat, how they eat and their views on food. Food is the shortcut to understanding a culture. So when it came to Thailand, and being on the top of my top list Culinary Destinations, I was completely disappointed that I had to change direction!! I eventually ended up going to Seychelles. With the whole culinary destination in mind, I was not sure what Seychelles had to offer. I knew their cuisine is called Creole, not very versed with Creole foods but have had a taster a few years ago in Mauritius and whatever I managed to eat of the Caribbean foods. From there I knew they cooked curries, and had some French influences in their cuisine but that was that. Vaguely remembered and not exactly familiar! Despite all that, I decided to go with an open heart ready to take in what this adventure was about to bring. So little did I know, that this spontaneous trip to a destination I thought small on food, would turn out to be the Culinary Experience I had been looking for! I found Gastronomy in Seychelles! Or maybe it found me, I am not sure! But what I do know is: I could not have wished for more!! Seychelles is an island country in the Indian Ocean, East of Mainland Africa. Having been colonised by the French, the country is very much influenced by the French culture. They speak Creole, which in their definition is broken French. If your French is good you will be able to understand almost everything they say. But worry not, as they can also speak English. is the cuisine of this beautiful island as well as its surrounding islands/countries such as Mauritius, Zanzibar and other areas in West Africa. It is also the cuisine of the Caribbean and countries in which African settlers are dominant. Creole Cuisine is very influenced by the French, Chinese and Indian cuisines, where in many concoctions it employs the same techniques, and even uses many of the same ingredients and aromatics! Seychelles’ cuisine is more French and Asian influenced than Indian though. I guess it would be safe to say that the cuisine is a French-Asian Fusion with an African twist in terms of exotic ingredients. Being situated just to the south of the equator, the country is rich with exotic produce. 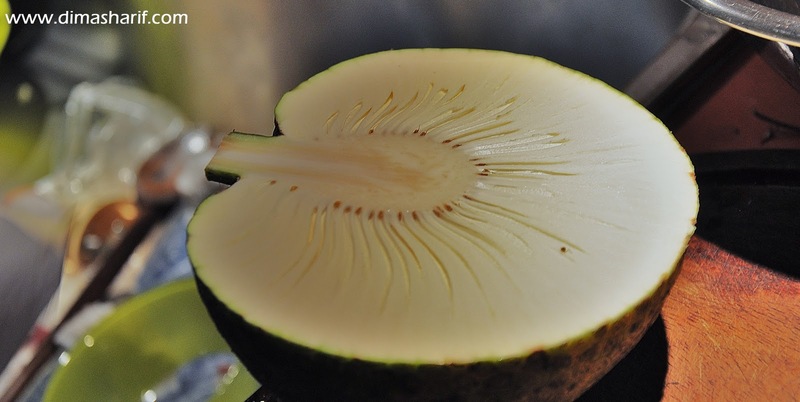 Mangoes, papayas, breadfruits, pineapples, coconuts, tamarind… all grow naturally in Seychelles. The exotic produce together with other Provençal and Asian ingredients have mingled together and formed this super tasty creole cuisine. Seychelles’ Creole cooking includes a lot of fish and seafood, rightly so as it’s an island on an ocean very rich in all sorts of fish and seafood. They also cook chicken, and least of all meats ( I have not eaten meat or found them on any menu while there, but told that it is sometimes cooked.). They use a lot of spices in their cooking, such as curry powder, saffron powder (saffron root, not the flowers), ginger (fresh and powder), chili powder…etc. 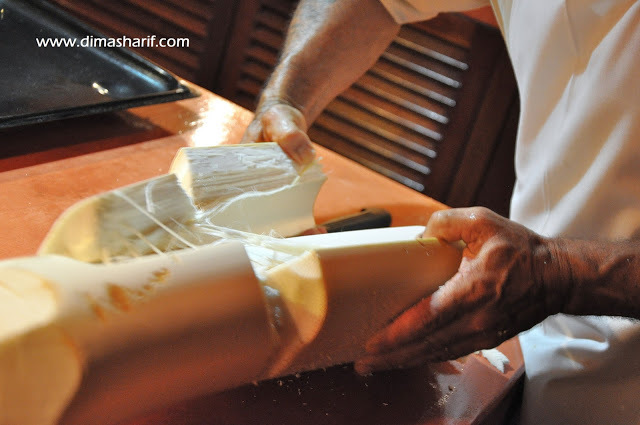 Coconut milk – freshly made at home – is also widely used in their cooking! Follow this link for how to extract coconut milk at home. Garlic, fresh cinnamon leaves, and fresh curry leaves, as well as soy sauce, oyster sauce and fish sauce and rice vinegar are all regular ingredients in this island’s cooking. In the more French concoctions they tend to use lots of garlic, shallots, thyme, cream as well as butter. There are some dishes where they fuse Asian and French ingredients, then toss in something like a baked breadfruit to the equation and that just becomes pure creole! Sounds strange, but really delicious! In beautiful, breathtaking Seychelles the concept of farm-to-table takes a whole other dimension. 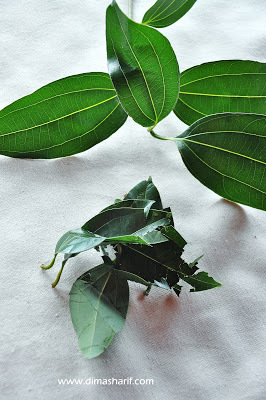 Freshness is ultimate, most of the time right from the backyard’s tree, chicken or even bats! On other most likely occasions fished from the sea across the street! Over there, you can rest assured that the ingredient is in premium condition, in its natural state as it’s meant to be. Mostly naturally grown and not even cultivated! Seychelles are also known for eating Bat Meat! Yes, that is right! They have humongous bats there, that actually look a lot like Batman! I was super taken when I saw them flying in flocks to the full moon, it looked like a live Halloween decoration! Super cool. The bat looks like a fox with wings! It has no beak but rather a face and body of a fox, covered with orange hair! Attached to that body are black leather wings with little hands on top!! How weird is that?! The strangest looking creature ever! They even call it the flying fox over there! As it turns out, these bats are 100% vegetarian, feeding off ripe fruits on the trees. They even refuse to eat the fruits that have fallen off the trees, as they are not as good a quality! Since they only eat excellent quality fruits, and are flying around free, they happen to have the most tender and delicious meat you can ever taste! I mean, talk about organic and free range meat! This is exactly it! The taste is slightly gamy, but quite milder than game. It is super tender and bizarrely delicious! What I found most inspiring though, came as a little surprise! It was the fresh heart of a coconut palm (a good story, read it on this link) ! I seriously like palmitos. I mean what is a Salade Panache without palmitos? But I had never had the pleasure of meeting the fresh heart of palm! Yup, like many, I had been eating the processed, canned, soured palm hearts! Of course I knew that they are not the real deal/ fresh ingredient; so you can imagine my happiness when I came across a real heart of palm!! I had to convince the guy to sell it to me, but did I manage to do that? read the story and see how again I got myself in a bit of a pickle!! I was repeatedly told by the cooks in Seychelles that Creole cooking is all about bringing out the beautiful flavours and textures of the ingredient, enhancing them by using spices with balance, and never overwhelming the ingredient or underestimating its presence! The way they design a dish is by deciding on a specific ingredient, then building everything else around it, making sure that one ingredient remains the star of the dish. 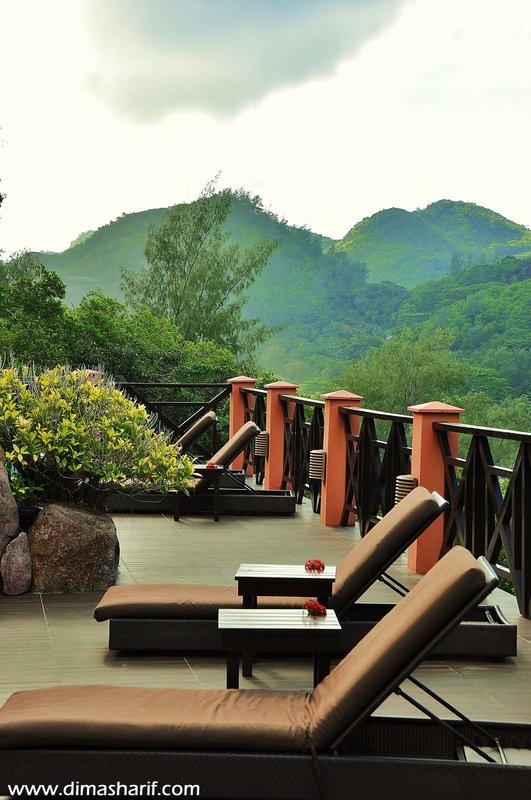 When travelling, I always prefer to stay at villas instead of hotels. The experience is way more unique and personalised than that generic experience of hotels. Most villas are very luxurious and fully serviced, so you are still being pampered. Some, even come with butlers, cooks, stay-in house-keepers, baby sitters and drivers! Staying at a villa is the best insight to the local lifestyle and local food – if you are looking for a local experience. As you get to learn a little something about local cuisine, as it is cooked at home, from its source. You get a chance to talk to the staff and ask them about places to go (you know, those real hangouts, not the tourist stuff). When in a villa you don’t have to wait until you are out in the city to start the cultural experience. You are right in it from the start! 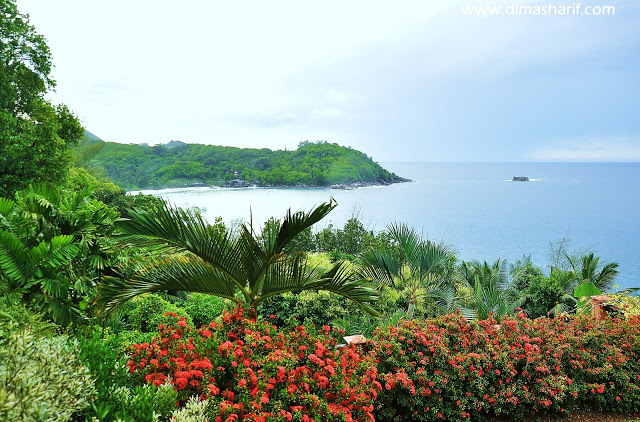 I had stayed at Villa Di Aldo in Takamaka – Mahe. I cannot tell you enough about how beautiful the villa is, its breathtaking views and how fully equipped it is for any need that shall arise. The villa is on a mountain top, overlooking the magical views of the volcanic mountains to one side, the beautiful ocean right in front, and the jungles of tropical forests to the opposite side as if hugging the ocean. This Villa had it all. It was so fabulous, that you hardly felt the need to go out!! The villa was furnished with Colonial African tones and furniture pieces, at times reminded me of the old commissary movies on Africa and African exploration quests. There were mosquito nets over the beds, it had huge sofa beds – with leopard and tiger skinned pillows – on the terrace overlooking the ocean. Then comes the contrast of varieties of green from the tropical trees against the very dark and old wood of the Villa. Everything in it, although brand new, reflected an era so far gone, that you actually felt like you got a chance to experience what life was like back then. The warmest and loveliest people you will ever meet! A husband and wife, they are the Villa Managers and Karl is also the Villa’s Cook, whom I have come to discover as Le Chef Extraordinaire! I have met many people around the world who love food, who cook, who eat, who write about food, who aspire to become something in regards to food… But up until I met Karl, I had never met a person who honestly lives to cook! I have seen passion manifest itself in so many ways, but that passion for cooking which Karl has is unlike any I have ever seen before! The care and respect he has for ingredients, the attention to details, and the techniques are all spot on, and over the top. The result is always heartfelt food that not only fills you up with bliss, but talks straight to your soul. Food that makes you wonder and think and at times will even unexpectedly delight you with hints of the exotic when least expected. 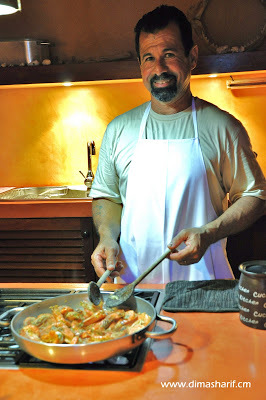 That is how I found Gastronomy at Seychelles. You see, it is meeting people like Karl that make Culinary Travel so much more interesting than just travel. I always look for these people and surround myself with as many of them as I can. People who can inspire you, who allow your thoughts to go places, who can bring the extraordinary out of the everyday. Those who can teach you a world of things out of the very stuff you thought you had thoroughly examined to the point of exhaustion. These people make life interesting, they add value, and most of all bring the best out of you. You are unlikely to just stumble upon strangers in the street and find all this, but throw food in the middle and it just gets interesting. Although I had thoroughly enjoyed my trip to Seychelles, meeting Karl, exchanging so much food conversations, cooking together and just simply watching him in action had enriched the experience to the point that -to me – it was the most exciting bit of the whole trip! Straight forward breakfast menu, but the smell of those vanilla crepes was creeping in, it was actually what woke me up! So we sit for breakfast before we head out to explore the island. Then I have noticed, there was a moment of complete silence! Everyone was eating crepes with papaya (just the crepes with fresh papaya, so few are the times when you eat such an everyday item with so much indulgence, but the flavours are a match made in heaven!). It is a crepe at the end of the day! But it was succulent! I thought this is a good start. Then Karl comes and asks us, what we would like to have for dinner, I thought it’s time to have that chat: ” We would like to try authentic local cuisine. It would be great if we get to sample different preparations each day, in order to see what your cuisine is about. We love good food, and would like to learn more about your food.” I told him, and that is all it took for a whole gastronomical experience to kick start. It was like giving this guy the key to heaven, and when he opened that door, the experience reflected so much goodness on everyone, that my son came and whispered – 5 days into the vacation – and said: “You know I love you mum, but I have to tell you, Karl cooks fabulous food!” he went on explaining how he thought I also cook great food, and he thinks am the best cook in the world, blah, blah, blah… but the bottom line is Karl managed to feed my 2 very young kids: curry, papaya chutney, coconut chutney, spicy tomato based fish curry, mixed exotic vegetable fried rice, King crabs in ginger sauce…. all flavours they would not happily have at home! They were actually looking forward each day to what he was going to cook for dinner! Just seeing him cook, and hearing him talk about food reflected his passion, so much so that even the kids wanted to see what he was on about, and the result was always outstanding! Every evening, we would come back from island explorations and island hopping exhausted and ready for food, and would find Karl and Catherine there with the fresh produce, preparing succulent food. I would sit with them in the kitchen for hours, talking about food, how its done, creole cuisine and would cook, take pictures and then sit down to sample the great cuisine coming out of the open plan, modern African minimalist kitchen with breathtaking garden, pool and ocean view! Pure heaven in my terms… I can go on forever about this, but I guess you get the drift! In a nutshell, Seychelles is an extraordinary destination for those who are big on nature and natural life. It is a place where you get a glimpse of how life is, should it be lived naturally. It is beautiful, with breathtaking views everywhere, truly unspoiled by humans. The people are very friendly, the culture is extremely interesting and the cuisine is Divine! With that said it is raw nature, it has not been modified for those who have to be in manufactured surroundings. It is basic and simple! Just how I like it 🙂 However, the insects can be quite irritating especially if you are squeamish! Nature does come with bugs, and in a place like Seychelles, there is not much you can do about that! I totally recommend Villa Di Aldo especially for those who are on food quests and like to do some culinary travel. 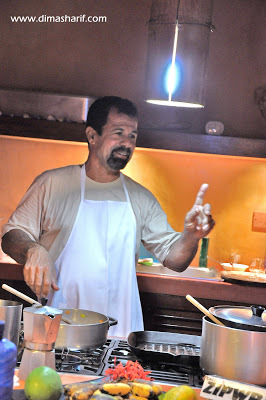 Karl loves nothing more than showing you the goodness of Creole Cuisine and you will thoroughly enjoy it! The Villa is fully serviced, breakfast is included and the staff are extremely friendly and accommodating. You will also get to learn a lot about the cuisine, just by watching Karl and talking to him about their foods. I give this Villa a rate of 100% satisfied. 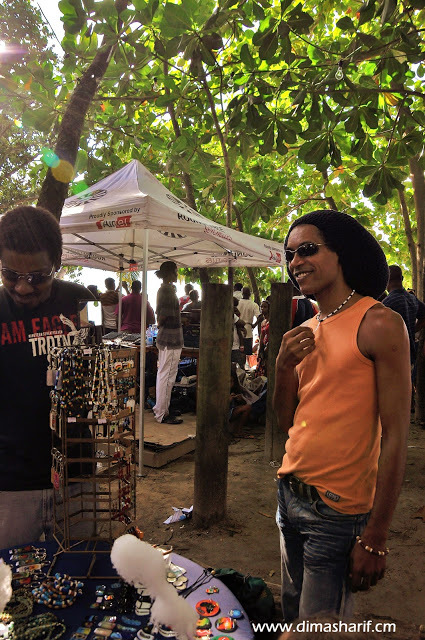 Creole BBQs by public beaches, amazing food and an authentic cultural experience. A bit of research is always required prior to your trip. If you don’t know what to look for, then you won’t be able to find it! Anse Soleil Restaurant. Absolute favourite for Bats curry and Octopus curry. The restaurant is right on the beach with such a magnificent strip of sea for snorkeling (saw 2 large stingrays and 1 eel just snorkeling slightly off the beach). The restaurant is very casual and laid back. You eat, go to the beach, snorkel, come back for more food and drinks, and even keep your belongings there while at the beach! Chez Batista in Anse Soleil – Mahe, who also offer a fabulous Creole buffet on Sundays. Les Dauphins Heureux in Anse Royale, for the best king crab in ginger sauce and octopus salad. 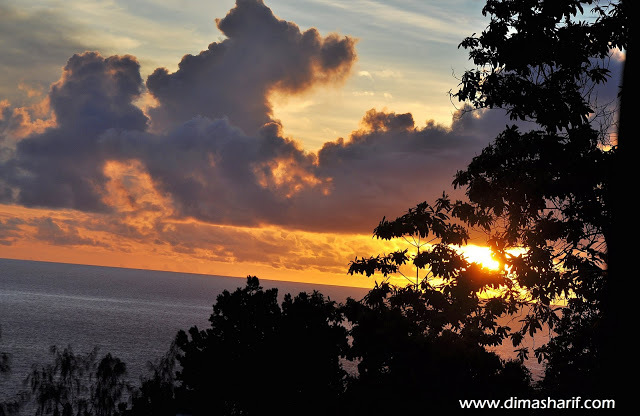 Bonbon Plume Restaurant in Anse Lazio – Praslin. Maria’s Rock Cafe for cook it yourself fish fillets, creole style. Cafe Des Arts on the beach, Praslin. The Place in Grand Anse – La Digue offers an all you can eat BBQ & salads. You can hire a boat via one of the Seychelles Boat Charters on Mahe to experience a full day dive or snorkeling trip around Mahé, Praslin and La Digue. You can even go for a diving course with PADI if you do not have a diving license. If you are not feeling too sporty, then go for a day trip to one of the islands (Praslin or La Digue), which usually includes, a Buffet lunch of Creole food. You will spend the whole day on the island, with food, drinks and can snorkel by the beach or just take in the sun. Otherwise you can go for the live aboard trips, which are a fabulous way to explore some of the outer island around Mahe (which make up the 115 Islands of the Seychelles). Casino. There are some local Casinos if you want to try your luck and have a good laugh. Fishing is a must. I mean it is after all an island! Why not go out and catch your own dinner? Seychelles offers big game fishing or deep sea fishing the choice is yours and the local Seychelles operators will be more than happy to assist you. 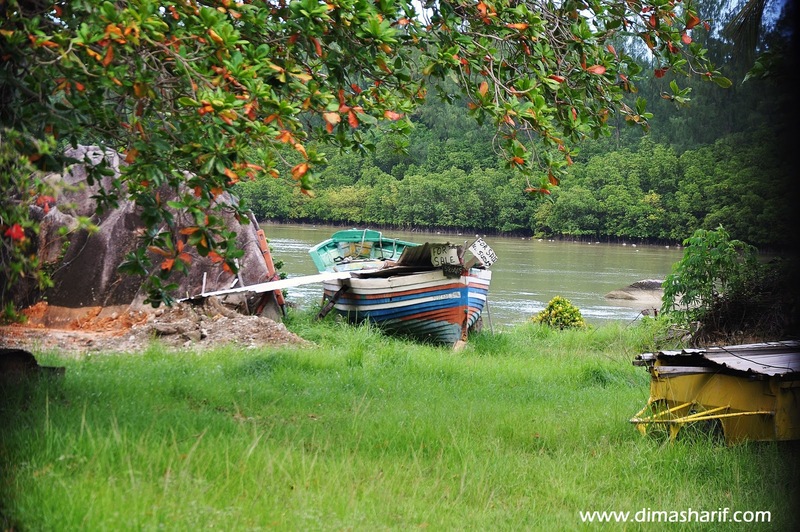 Otherwise, and for a more relaxed fishing experience, Mahe also has some wonderful spots for fly fishing. Or you can simply take a fishing rod on the beach sit back relax, sip your Seybrew and watch the sunset. Glass Bottom boats trips around the Seychelles Marine National Park,where you get to snorkel with the fish and feed them as well. Do not forget to bring along some bread. Fancy some Golf? Seychelles Golf Club which is a nine-hole course built on an old coconut plantation, would be perfect for that. Situated at Anse aux Pins just off the road leading to the Reef Estate. Praslin also has its own Golf Course. Horseback riding on Mahé Island. You can explore Mahé’s west coast – Barbarons and Grand Anse area on horseback. Watch the sunset, and go on the beach… what can be better? The stables are close to Le Meriden Barbarons hotel. Seychelles Walks, hikes, trails and tours. A variety of walks (with different degrees of endurance) are available at the Chalets d’ Anse Forbans. 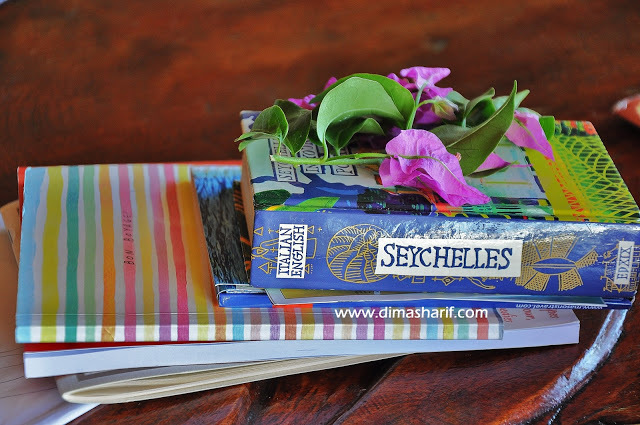 But you can also get individual trail brochures by the Seychelles Ministry of Environment which can be purchased at the Antigone book store in Victoria and at the Seychelles Botanical Garden situated about 10 minute walk from Victoria. While you are at Victoria, do visit the produce market, where you will find fresh Seychelles produce, spices (must buys), and many other artifacts. You can also visit the Hindu temple there and walk around the market for some souvenir shopping. 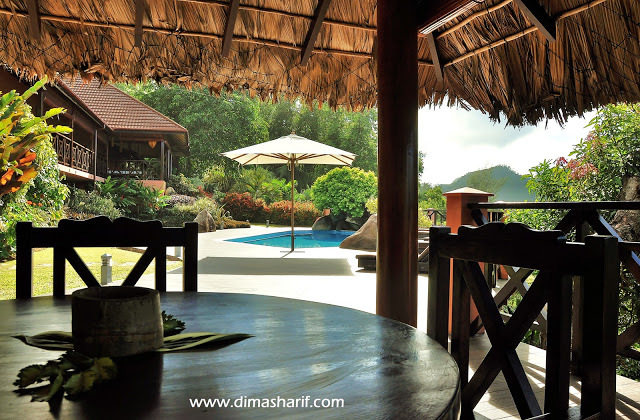 Culinary Destination Seychelles – Done! If you have visited Seychelles and would like to recommend places, activities or accommodations, please go ahead and leave a comment. Let us know which parts of Seychelles were your favourite. Disclaimer: I go on my Culinary Trips on my own behalf, self-funded and do not earn any income or compensation in any form for recommending any accommodation, restaurant, activity…etc. I share my experience with you to hopefully inspire you to try the locations and activities which I have personally found outstanding. The views expressed in this website are my own, unless otherwise indicated.